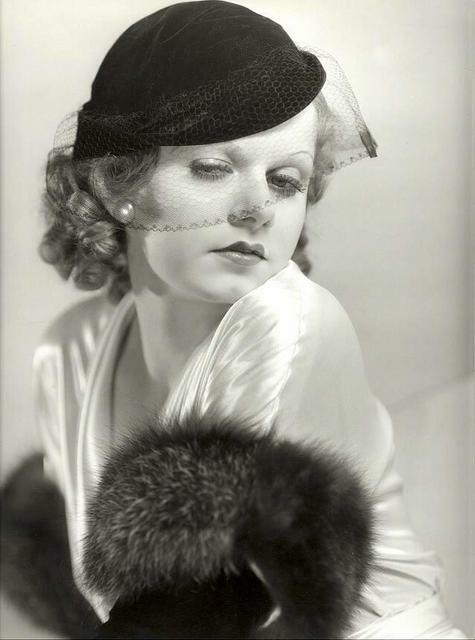 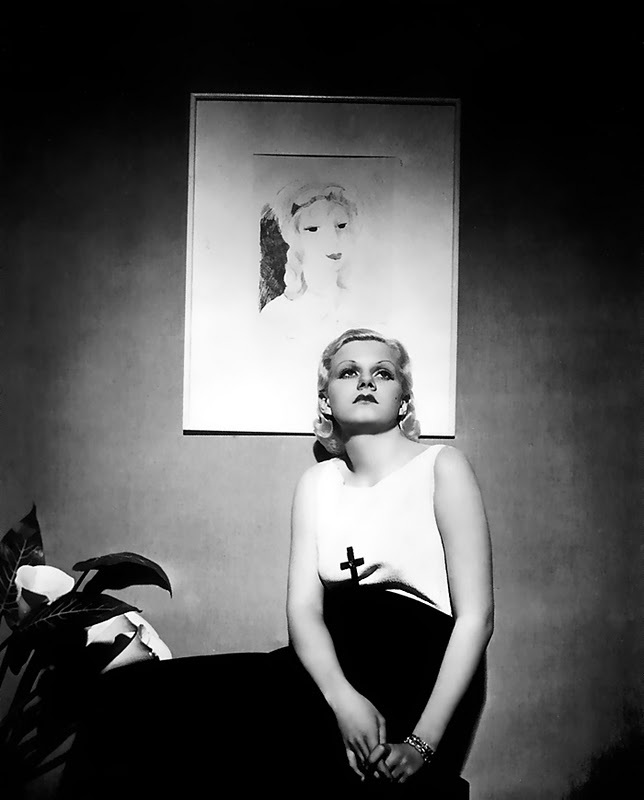 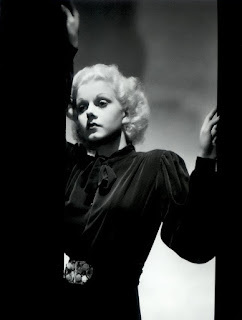 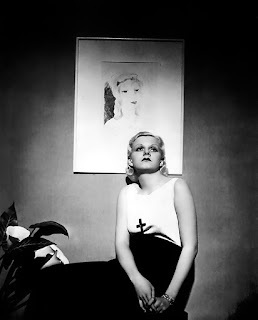 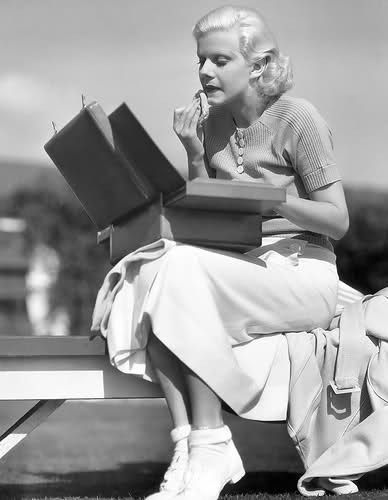 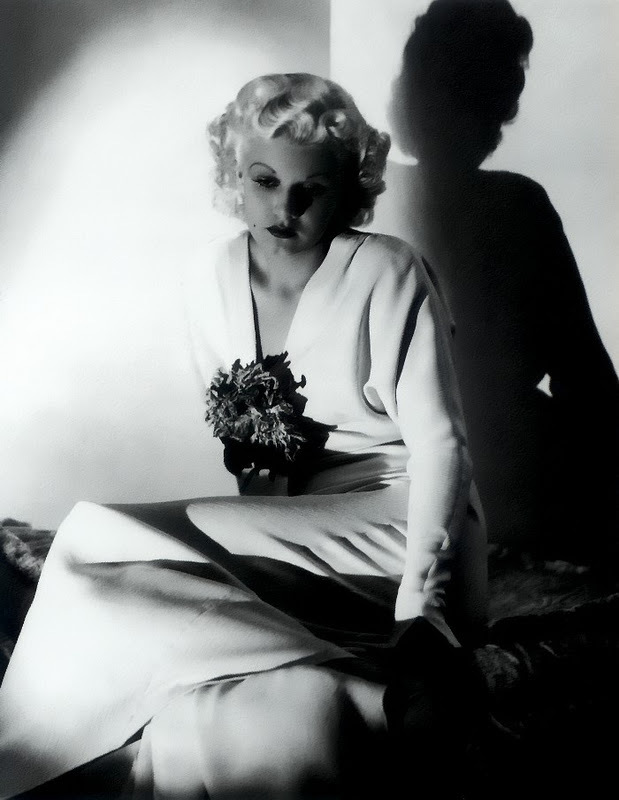 Jean Harlow was born in 1911 in Kansas City, to a successful dentist and his wife. 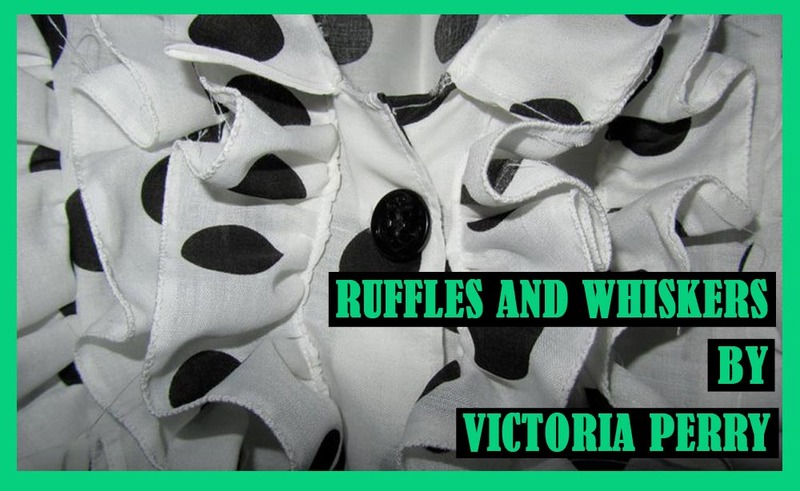 She ran away from home at age 16 and married a young businessman. They set up home in Los Angeles where Harlow got work as an extra on movie sets. 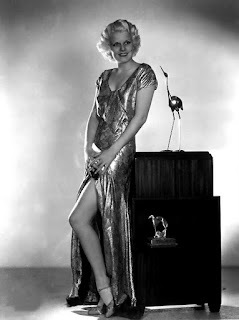 After two years, many smalls roles & bit parts, and a divorce under her belt Harlow got her big break in Howards Hughes's 'Hells Angels' in 1930. 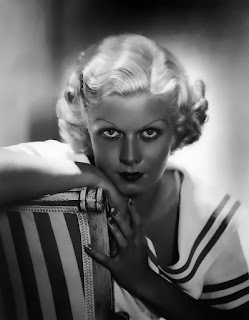 After this she starred in such films as 'Platinum Blonde', 'Red Dust', 'Dinner At Eight' & 'Blonde Bombshell'. 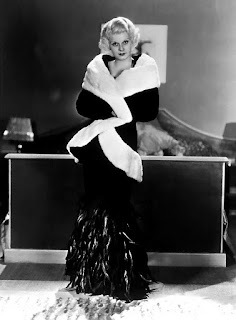 Her most successful films were with which she was paired with Clark Gable (6 in total), her last being 'Saratoga' in 1937. 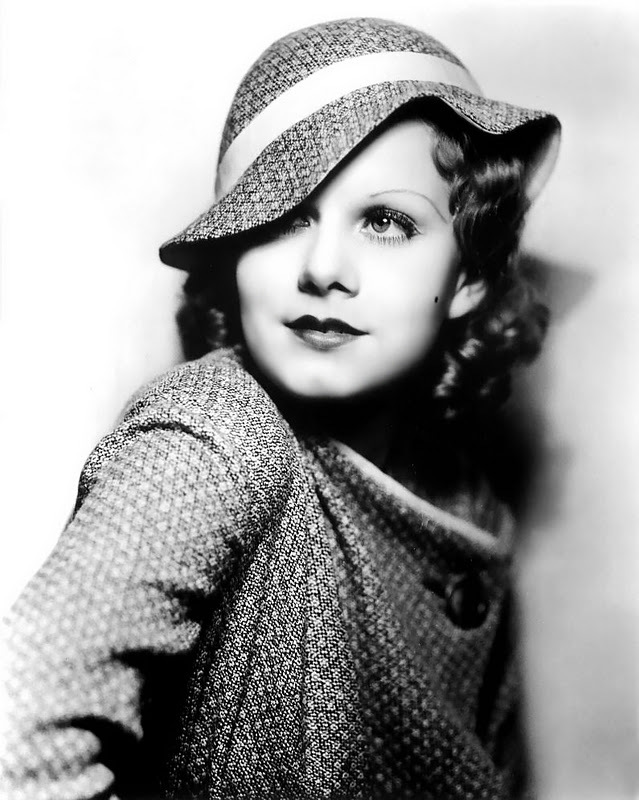 During filming she contracted uremic poisoning which took her life at age 26.